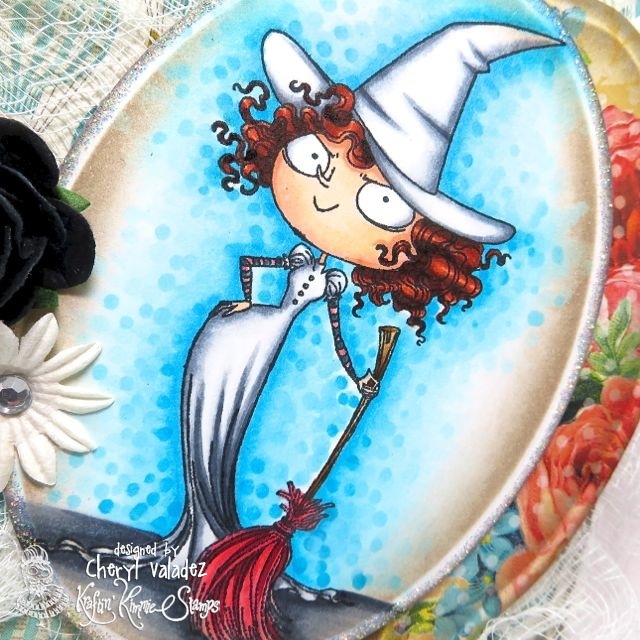 The Ink Trap: A New Challenge at Kraftin' Kimmie Stamps: Embellish It! A New Challenge at Kraftin' Kimmie Stamps: Embellish It! Hola, fellow bloggers! Welcome back! We're sharing a new challenge at Kraftin' Kimmie Stamps and I think you're going to REALLY like this one! Our hostess this week is Sheri and she is challenging us to EMBELLISH IT! Yep, pile 'em on! Flowers, trims, bling, accents...whatever your crafty little heart desires! For my card, I used Wicked Witch. I've had her a for awhile, but this was the first time she's seen ink. I stacked the embellies high to meet Sheri's requirement. I've been coloring a lot of witches lately and for some reason or another, I've been making their outfits white. Are they good witches? Are they looking for an outfit that will reflect heat on a warm Summer's day? Or perhaps they're trying to wear as much white as they can before the Labor Day holiday. Don'tcha love a witch who stays on top of the fashion DOs and DON'Ts? I know I do! Actually, the answer is none of the above. Here's the truth of the matter...when I am in a rush and have very little time to spare, I resort to white. It's quick and it's easy. It's my Copic Cheat...LOL! I like the high contrast of C5, C3. C1 C00, and the blender. Though these colors seem dark, but they create beautiful shadows and result in a bright white finish when used sparingly. Keep them in mind next time you need to create the illusion of white. August Stamps are available in the KKS Shop and they are amazing! Pick them up this week and take advantage of the Gimme Kimmies Sets. This week's Frugal Friday Specials are also up and Kimmie is feeling particularly generous! Be sure and check them out. Now, get out of here you krafty divas and start perusing the divine creations of the Krafty Girls and Guests. Don't forget to play along this week! You could win some fabulous KKS rubbah! She is adorable in white...love these colors you're using for Halloween! Very sophisticated and elegant design! I Used to be Funny...oh yeah, and I made a card. August Peeks at Kraftin' Kimmie Stamps: Day 3! 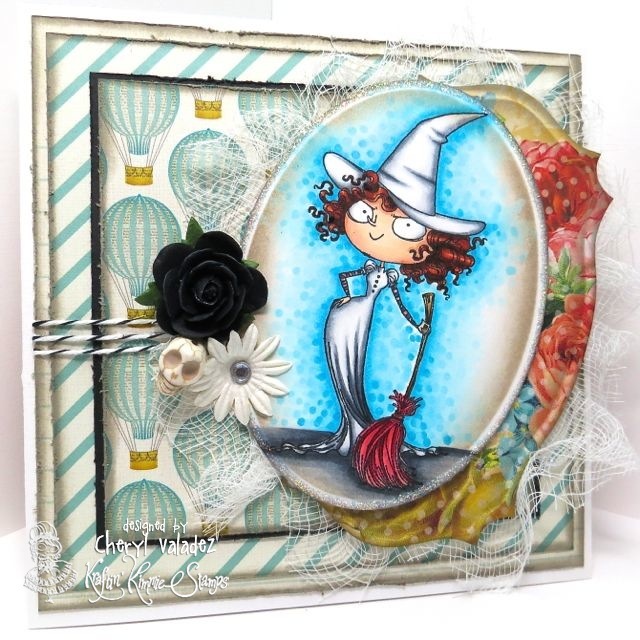 August Peeks at Kraftin' Kimmie Stamps: Day 2!